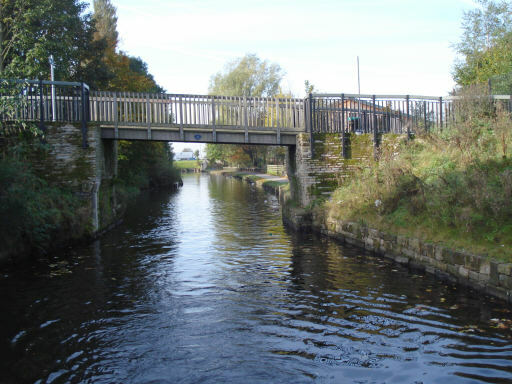 The Rochdale Branch originally ran northwards for around half a mile towards the town centre from a junction immediately below Lock 50 and Oldham Road Bridge. The branch is now infilled beyond this short arm, although the first bridge is still intact. 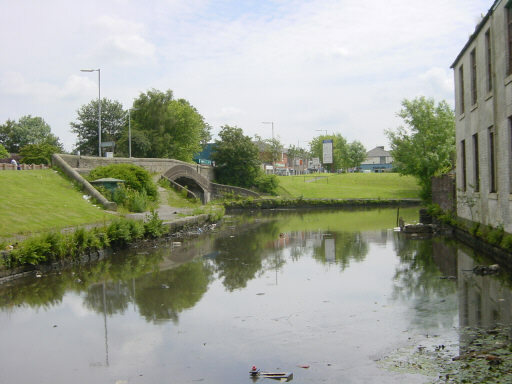 This is the view from the junction, with Oldham Road Bridge off the picture to the right. 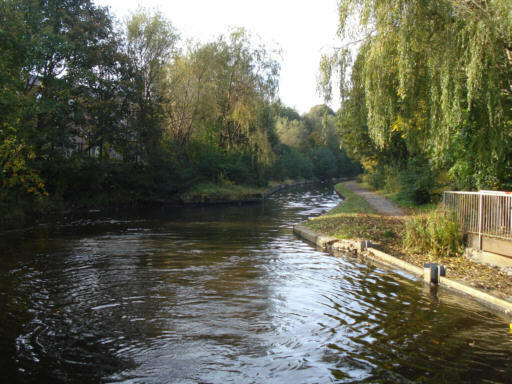 Looking back to the main line from the present end of the Rochdale Branch. 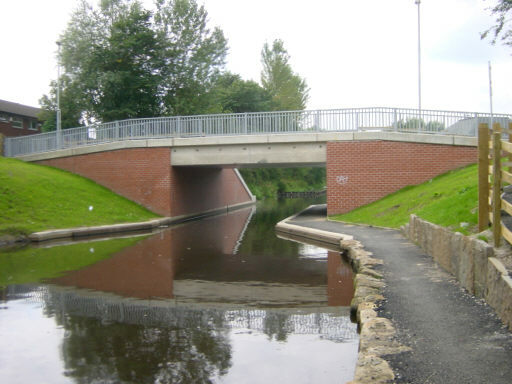 The towpath changes sides by means of this fine changeline bridge adjoining Oldham Road Bridge. 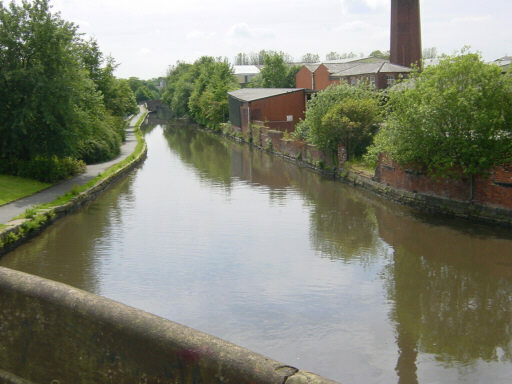 Looking from Oldham Road Bridge towards Well-i'th-Lane Bridge. 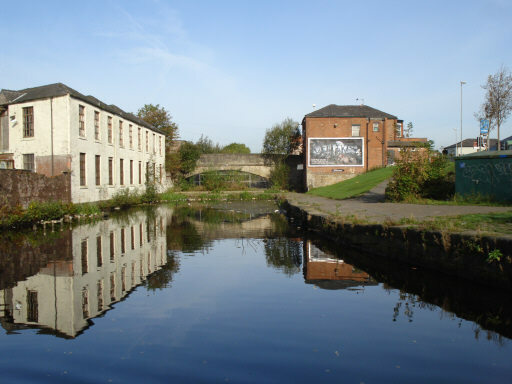 The former Rochdale Branch runs off to the right of the picture. Looking back to Well-i'th-Lane Bridge. The canal passes through a new concrete channel near the Sealocrete works. Before restoration the canal had been reduced to a narrow un-navigable channel here. Dicken Green Bridge. 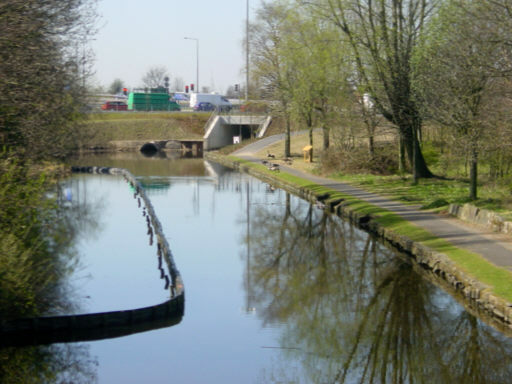 This has been re-built as the canal had been culverted at this point. Hartley Lane Bridge. The canal had also been culverted here. Approaching Edinburgh Way Bridge. 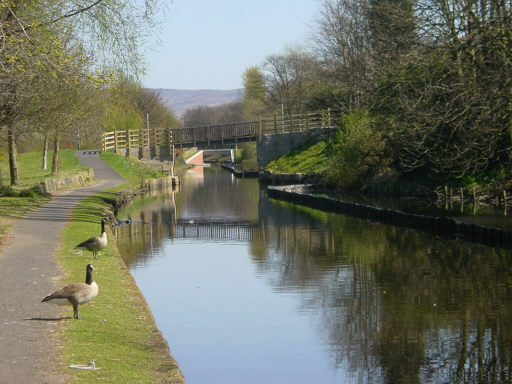 The A627M was built partly over the line of the canal so it was necessary to divert along a new line for the next quarter of a mile. 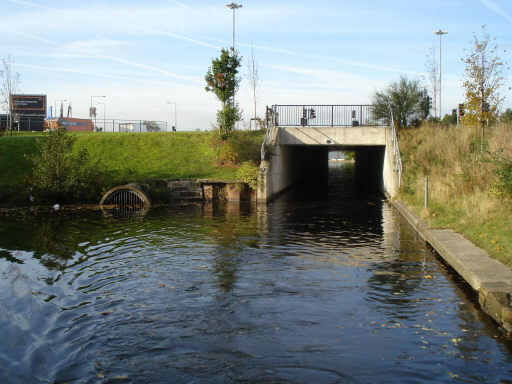 The culvert to the left indicates the original canal line. See photos of construction work. Looking back from just before Edinburgh Way towards Hartley land and Dicken Green Bridges, with the Pennine Hills in the distance. 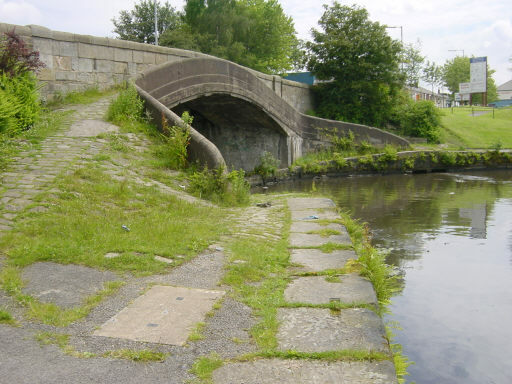 Entering Edinburgh Way Bridge, or more of a tunnel, as the canal passes under the busy road junction. 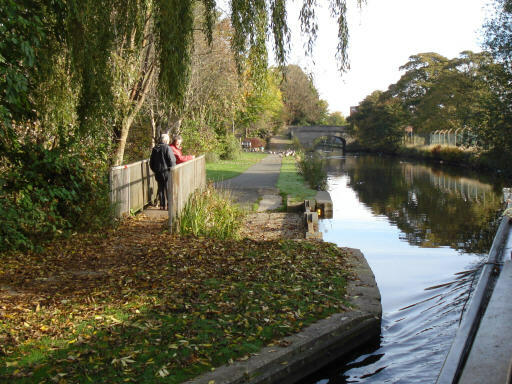 There is no towpath along the new section of canal, so walkers and cyclists need to make a short detour by road. See map of detour.